A new home for the T10 League. Image - @AbuDhabiCricket/Twitter. 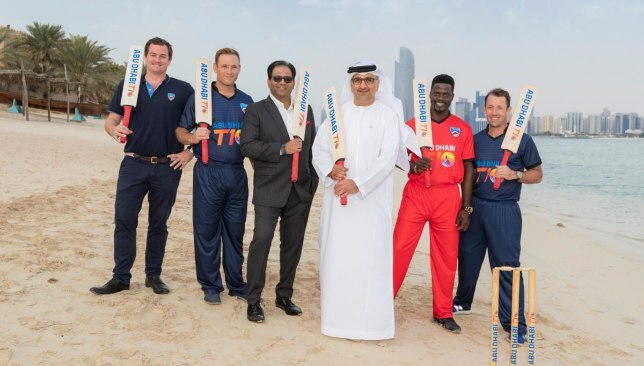 🚨BREAKING🚨 #AbuDhabiCricket joins forces with @dctabudhabi & @AbuDhabiSC to sign historic deal to host @T10League for 5⃣ years from 2019 - 2023! Watson (l) and Hasnain (r). Image - @thePSLt20/Twitter. Shane Watson has warned the Australia ODI squad to beware of the threat posed by young Quetta Gladiators pacer Mohammad Hasnain in their upcoming series against Pakistan. 18-year-old Hasnain excelled for eventual 2019 Pakistan Super League (PSL) champions Quetta in the just concluded edition with the young pacer picking up 12 wickets in his seven appearances. Hasnain has been one of the standout youngsters from the tournament and has grabbed eyeballs with his raw pace while managing to even breach the 150kph barrier. So impressive were the teenager’s displays in his maiden PSL campaign that he was given a call up to the Pakistan squad for the upcoming ODI series in the UAE. 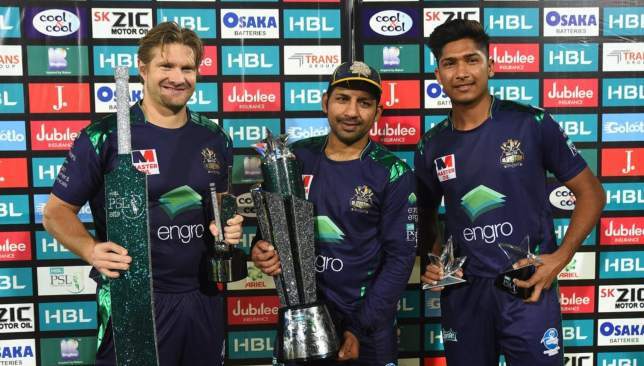 Watson, who was awarded the player of the tournament for racking up the highest number of runs in PSL 2019, has admitted to being thoroughly impressed by his Quetta team-mate Hasnain. “Hasnain’s control over his length and swing is very impressive and he varies his pace very well,” said Watson. Hasnain was in fine form in the final at Karachi on Sunday where he picked up 3-30 in a man-of-the-match display to help the Gladiators clinch their maiden PSL title. The right-armed pacer is now targeting a spot in Pakistan’s World Cup squad and hopes to take his chance against Australia in the UAE. “I have always been a fast bowler, and I hope to bowl even faster,” the express quick said after the final against Peshawar Zalmi. Hasnain will have the chance to make his case for the World Cup when the five-match ODI series between Pakistan and Australia gets under way at Sharjah on Friday. A dominant display by South Africa in the ODI series. 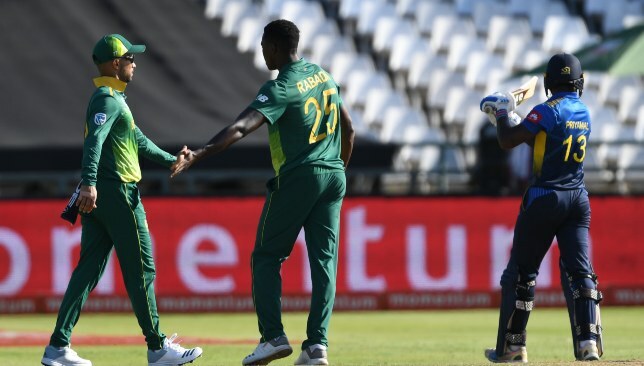 The five-match ODI series between South Africa and Sri Lanka came to an abrupt end with the final clash at Cape Town cut short by a floodlight failure. The hosts were ultimately declared winners by 41 runs via the Duckworth Lewis System (DLS), thereby completely a 5-0 clean sweep of the ODI series. South Africa were batting on 135-2 after bowling Sri Lanka out for 225 runs when the floodlights at the Newlands cricket ground malfunctioned. No further play was possible after a two-hour delay leading to the officials calling off the match. Earlier, South Africa pacers Kagiso Rabada and Anrich Nortje shared five wickets between themselves with Sri Lanka’s batsmen finding the going tough. Kusal Mendis top-scored for the visitors with 56 but none of the other Sri Lanka batsmen were unable to push on despite getting good starts. Veteran leg-spinner Imran Tahir picked up two wickets in his home ground on what his final ODI appearance on South African soil. In response, Sri Lanka skipper Lasith Malinga removed Quinton de Kock early but Aiden Markram and Faf du Plessis forged a 70-run stand for the second wicket to get the hosts back on track. Markram was unbeaten on 67 while Rassie van der Dussen was batting on 28 when the match was ultimately called off. The two teams will now square off in a three-match T20 series which begins at Cape Town on Monday.